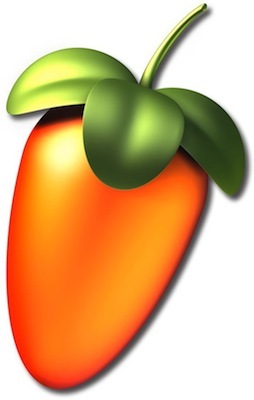 Image-Line has announced the release of FL Studio 9.1, which includes a number of bugfixes and additional features. Registered users of the online version of FL Studio receive free lifetime updates, so a new registration code is not required. Edison/Slicex: original sample filename now stored in states/projects (to remember the last file loaded). MIDI import dialog doesn’t show for MIDI files with only 1 track & 1 channel. Right-clicking piano roll’s channel selector brings the channel settings and plugin editor. Added MP3 export to Edison. Changed ‘Select’ to ‘Replace’ in effect plugin menu when there’s already an effect loaded. Improved tempo fitting dialog in playlist. Edison: added “send to playlist as audio clip” shortcut button. An empty name in the channel grouping edit now sends to the unsorted group. Changed the method used by assisted PDC a little. New “PDC for all tracks” helper for PDC. Improved hovering of contiguous piano roll notes/playlist clips that are grouped or selected. F2 in name editor cycles through random colors. Piano roll note color selector can show special color names for some generators. Head over Image-Line for more info or visit Tucows to download the FL Studio 9.1 update. I used to complain every time there was a new FL Studio update because there was nothing comparable on a Mac…now that I have Maschine, I’m not really worried about it!! folks are still using 5, 6 and 7. I’m still using freakin’ 8. I DON’T KNOW WHAT IT IS WITH FRUITY LOOPS THEY STILL ARE TOO STINGY TO FORK OVER A FEW MILL TO GET A INTEL MAC PROTOCOL !! What’s up with you and your constant abuse of the caps lock key? Tony been “Cap’in” in since day one. By now we are all used to it. If it hurts your eyes don’t read. simple. I have been using FL studio for a couple of years now and I gotta say I am always impressed with new Fl Studio updates. I use it in conjunction with Ableton Live with Rewire. I would to see some options provided for changing the color of the layout of Fl studio like they do in Ableton. I had to sell my midi keyboard due to certain financial situations, and i used Reason 4 . I started out using Fruity Loops and now im forced to using it again and Man i cant swagg it for nothing. I Miss Reasons so much it hurts. I made some bangerz on Reason and i just hate the outline and display of fruity loops so basic. You cant make ‘bangers’ on FL because of the outline and display being too basic? Why does everyone call Reason, Reasons? You can make bangers on FL BOI 1DA, 9th Wonder, and i think Alchemist also are all living proof——– Its just depends on what fits you. No doubt…that’s the funny thing about it…sometimes the “look” of a program isn’t inspiring or it’s actually UN-inspiring…don’t ask me to explain it, it’s just a feeling or something. At the end of the day though, all these different programs essentially do the same things…if you truly have talent and a dope sound in your head, it’s not really a difference to make it all happen on any of these programs…it’s just inspiration that gets in the way sometimes!!!! Hey ya’ll this is a crazy good program, I love FL Studio. I used to have a copy from my friend, but I went legit and got me the real thing from Image-Line. I got my own account, my life free updates and everything. Keep doin’ your thing and props to Image-Line for all these free updates! 000+ 30 days business in a matter of days. tin dùng do tính thân thiện và an toàn mà phương pháp này mang lại. Bởi vì sao nâng mũi bằng sụn tự thân lại thân thiện với cơ thể? Sụn tự thân gì được lấy để nâng mũi? Chất liệu dùng để làm phẫu thuật nâng mũi chính là sụn từ chính cơ thể chúng ta. cơ thể, dễ dàng tạo thành một khối thống nhất, và có độ bền gần như tuyệt đối. đem đến cho bạn các bí kíp làm đẹp nhanh chóng và hiệu quả nhất hiện nay. quen thuộc và dần là một liệu pháp được nhiều người lựa chọn để khắc phục nhược điểm không mong muốn của bản thân. An impressive share, I simply given this onto a colleague who was doing just a little analysis on this. And he in actual fact purchased me breakfast because I found it for him.. smile. So let me reword that: Thnx for the treat! However yeah Thnkx for spending the time to debate this, I really feel strongly about it and love reading extra on this topic. If attainable, as you turn out to be expertise, would you thoughts updating your weblog with extra details? It’s extremely useful for me. Huge thumb up for this blog post!